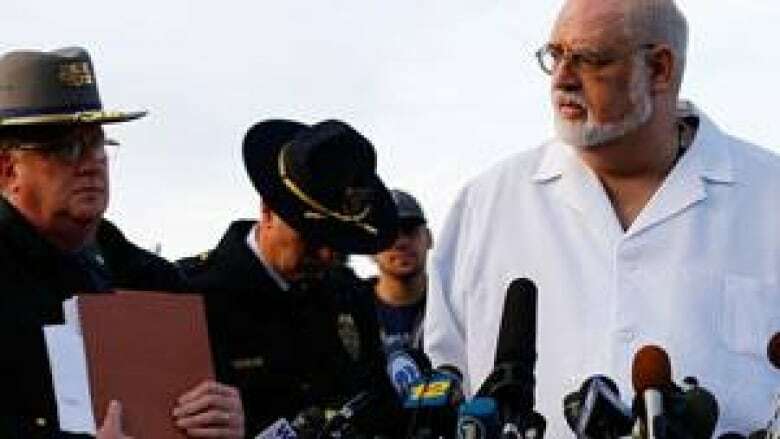 All the victims of the Connecticut elementary school shooting were shot several times at close range from a rifle, said the state's chief medical examiner. Dr. H. Wayne Carver called it a "very devastating set of injuries" at a news conference on Saturday, where police released a list of the victims. Eight were boys and 12 were girls. All the children were aged 6 or 7. Six adults, including the school principal, were also killed in the massacre. Carver himself had examined seven bodies —all were first graders. They had been shot at least three to 11 times, he said. The examiners asked parents to identify the victims using photos. "I have been at this for a third of a century [and] this is probably the worst that I have seen, or I can think of any of my colleagues having seen," he said. Post-mortems on the attacker and his mother will be done in the morning, said Carver. Police say the gunman responsible for the shooting forced his way into the building where he went on a rampage. 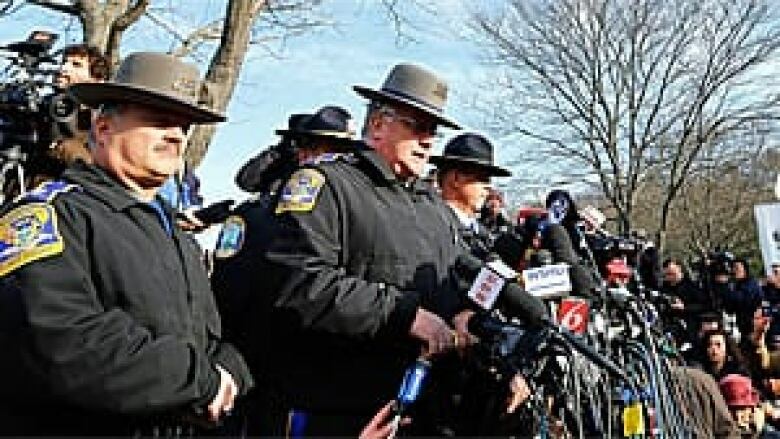 Lt. Paul Vance of the Connecticut state police said at a news conference Saturday morning that the man responsible for the shooting at the Sandy Hook elementary school in Newtown, Conn., was not voluntarily let into the building. Any regular visitor to the school would have to be buzzed in to bypass the security system. 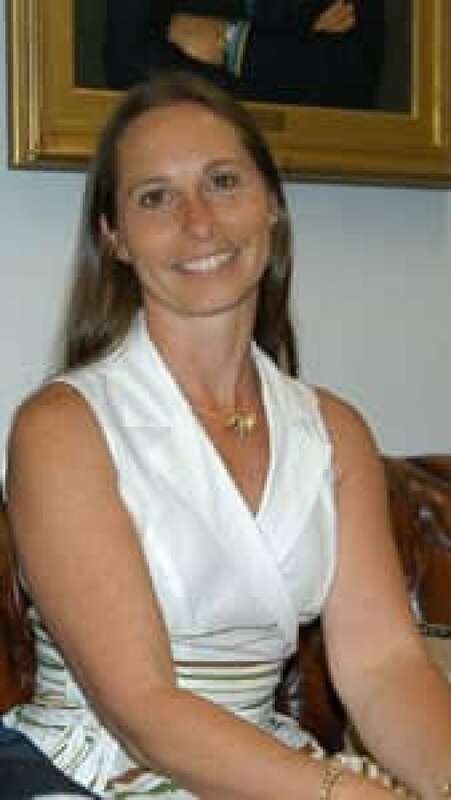 Early reports suggested that well-liked principal Dawn Hochsprung — who is among the dead — had buzzed in the shooter because she recognized him as being the son of one of the school's substitute teachers. Police confirmed that was not the case on Saturday. "He was not voluntarily let into the school," Vance said. "He forced his way in." Newtown education officials said they had found no link between Lanza's mother and the school, contrary to initial news reports that said she was a substitute teacher there. Investigators said they believe Adam Lanza attended Sandy Hook Elementary many years ago, but they had no explanation for why he went there on Friday. Board of Education chairwoman Debbie Liedlien said administrators were coming out of a meeting when the gunman forced his way into the school, at which point Hochsprung lunged at the shooter in an attempt to subdue him. Maryann Jacob works in the school's library and was there with 18 students when they heard gunfire. She ushered the children into a storage room and locked and barricaded the door with a file cabinet. She kept the children occupied with pencils and paper for colouring, and didn't emerge until a police officer slid his badge under the door about an hour later to assure her that the danger had passed. Officials have yet to publicly confirm the identity of the shooter, but it's believed to be Adam Lanza, the 20-year-old son of Nancy Lanza, who is believed to have been killed at the home she shared with her son before the shooting spree at the school began. Police have detained and questioned his older brother, Ryan Lanza, 24, of Hoboken, N.J., who is not believed to have played any role in the rampage. Investigators are searching his telephone and computer records, but Lanza told police he had not had contact with his brother in two years. The massacre, which killed 28 people in total, has elicited horror and soul-searching around the world even as it raised more basic questions about why the gunman would have been driven to such a crime and how he chose his victims. Police have recovered "some good evidence in this investigation that our investigators can use and hopefully paint a complete picture as to how — and more importantly why — this occurred," Vance said. Connecticut Governor Dannel P. Malloy said Saturday there are no good answers. Now is the time for love, courage and compassion, he said, and then the time will come for discussing public policy issues surrounding Friday's shooting. Police say Lanza drove to the school in his mother's car with at least three guns, including a high-powered rifle that he apparently left in the back of the vehicle, and shot up two classrooms around 9:30 a.m. Friday, law enforcement officials said, speaking on condition of anonymity. "The weaponry that was required by the investigators were recovered in close proximity of the deceased," Vance said. U.S. President Barack Obama will visit Newtown Sunday evening, according to a statement by the press secretary. 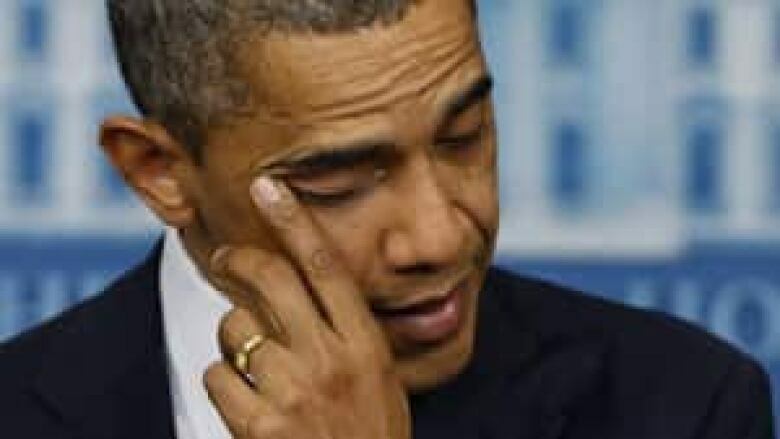 Obama will meet with the families of the victims and thank first responders. He will speak at an interfaith vigil for families of the victims and families from Sandy Hook elementary school. The vigil is scheduled for 7 p.m. In tight-knit Newtown on Friday night, hundreds of people packed St. Rose of Lima church and stood outside in a vigil for the 28 dead — 20 children and six adults at the school, the gunman's mother at home, and the gunman himself, who committed suicide. People held hands, lit candles and sang Silent Night. At the Newtown vigil, Anthony Bloss, whose three daughters survived, said they are doing better than he. "I'm numb. I'm completely numb," he said. Panicked parents looking for their children had raced earlier in the day to Sandy Hook, a kindergarten-through-fourth-grade school where police told youngsters to close their eyes as they were led from the building so that they wouldn't see the blood and broken glass. Schoolchildren — some crying, many looking frightened — were escorted through a parking lot in a line, hands on one another's shoulders. "I told them we had to be absolutely quiet. Because I was just so afraid if he did come in, then he would hear us and just start shooting the door. I said we have to be absolutely quiet. And I said there are bad guys out there now and we need to wait for the good guys to come get us out," Roig told ABC News. "If they started crying, I would take their face and say it's going to be OK. Show me your smile," she said. "They said, we want to go home for Christmas. Yes, yeah. I just want to hug my mom, things like that, that were just heartbreaking."